Have you heard about the newest Purex? 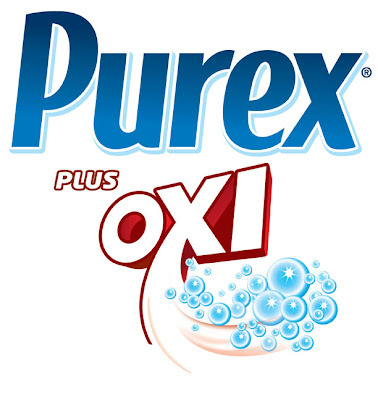 I love being a Purex Insider and trying all their new products, especially Purex plus Oxi. We used it this weekend and loved it on our clothes! It cleaned them all perfectly & had them smelling great. It's also the most powerful detergent out there! It worked so well on my husband's white dress shirts! Ring around the collar was gone without bleach! Amazing!! You can even use it to pre-treat a stain! Next time you're in the supermarket, check out Purex plus Oxi! I think you might just fall in love with it! 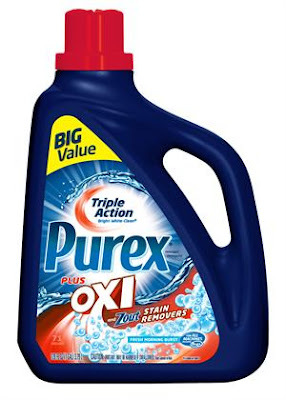 Disclaimer: I am a Purex Insider so I received the Purex plus Oxi in order to review. I was not compensated for a favorable review.